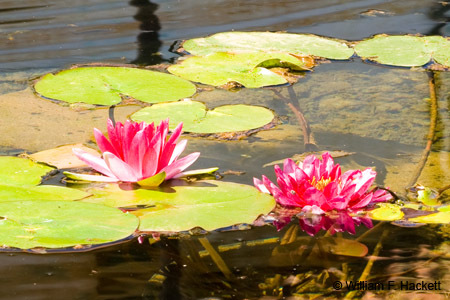 Prints (16x20 inches, matted and framed to 20x24 inches), corresponding to these low-resolution images of water lilies in the original fountain of Mission Santa Barbara are on display at the US Bank (2125 Second Street, Livermore, California) June Show from June 4 - July 6, 2009. Both are available for purchase. 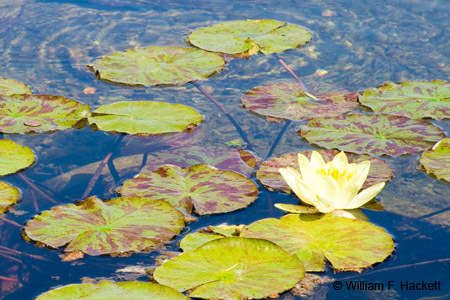 The white water lilies won "Best of Show!" Come and see the marvelous Art works created by LAA members! Please thank the folks at the bank for supporting the Arts!